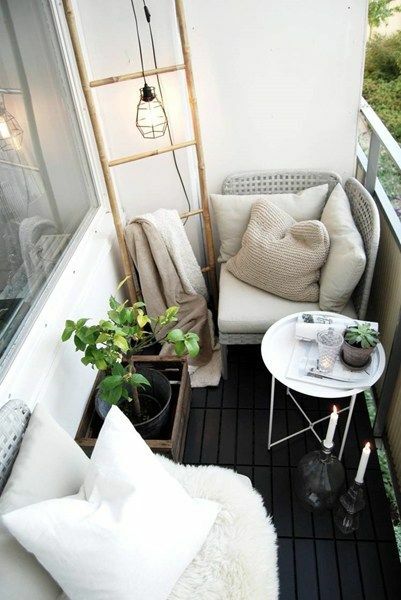 Summer interior design: balcony decoration! When summer comes you start considering more seriously the outdoor space. And indeed you should. They say it is healthy to spend as much time as possible outside, and during the warm season you really get the time to catch up for an entire winter spent indoors. We figured we should start with:balcony decoration! It is not too big a challenge, being a relatively small space and, most probably, all houses have one, irrespective if we are thinking about an apartment or a standalone house. It has to be a place which inspires freedom and relaxation. Add plants. They will always bring a fresh air to every environment. And spring and summer flowers are really appealing, not only green and charged with vitality, but also colorful and, most likely, perfumed. Moreover, you don’t need to waste floor space for them; you can use vertical space to hang them, walls and the guard rail. You could create a simple sitting bench that can also provide the role of a table. You can use pillows and coverings to make it more comfortable for reading or just enjoying your morning coffee, a lemonade in the afternoon, and, why not, a glass of wine in the evening. Depending on the length or width of you balcony, you could set it so that it will allow you to save a segment for turning it into a table. If you plan on staying outside during the evening as well, and warm summer nights, might allure you into doing this, you will discover that some dim lights are really useful and pleasant. You don’t necessarily have to choose electricity. 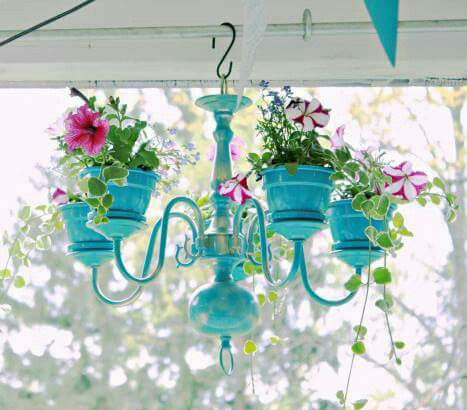 You could consider some cute lanterns lighted by candles. You can easily find them in hardware stores or enjoy yourself with some DIY projects. 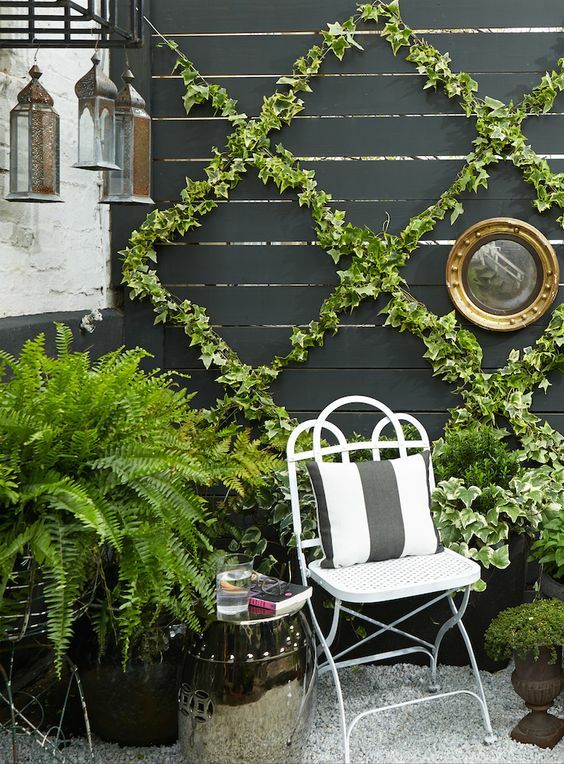 Plants can help you cheer-up the space, but they are not the only possible colorful addition. You can also play with carpets which will enhance the comfort, both tactile and visual. 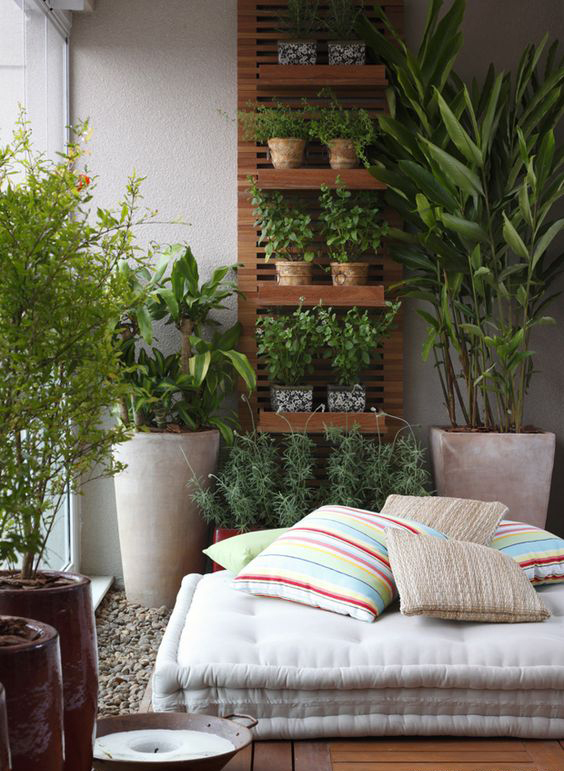 Summer is here, so go on and start using some of this design ideas for balcony decoration right away!